Come take a break with us! 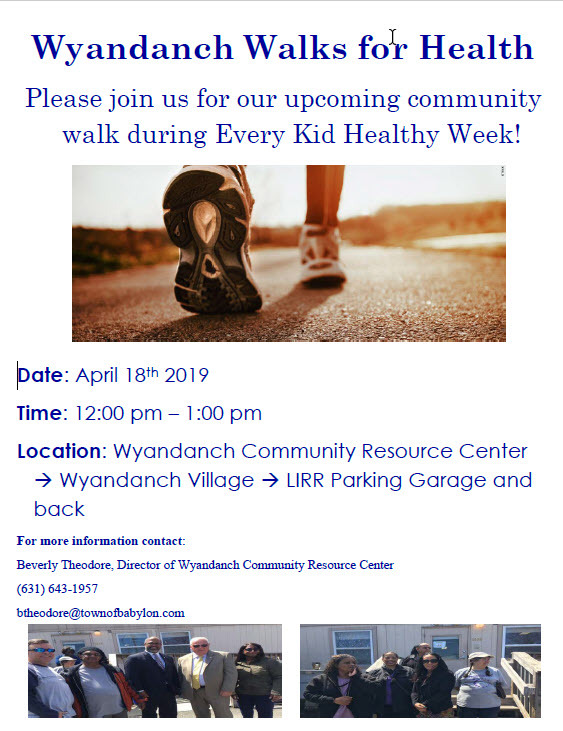 The walk will start from the Wyandanch Community Resource Center; continue through Wyandanch Village to the LIRR garage and back. Open to the Wyandanch Community to help reinforce a healthier environment for students.